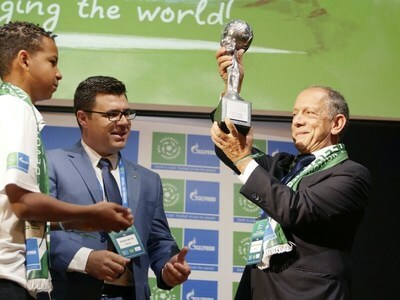 PORTO, Portugal, March 25, 2019 /PRNewswire/ — Today, at Dragao stadium in Porto, the Young Ambassadors of Gazprom’s International Children’s Social programme "Football for Friendship" presented the main award of the programme – the Nine Values Cup – to the Brazilian national football team. This unique trophy symbolizes the Nine Values of the Football for Friendship – friendship, equality, fairness, health, peace, devotion, victory, traditions, and honour. The award ceremony took place on the threshold of a friendly match between Panama and Brazil. This International Children’s Social programme Football for Friendship has been implemented by Gazprom since 2013. The main values promoted by the programme’s participants are friendship, equality, fairness, health, peace, devotion, victory, traditions, and honour. 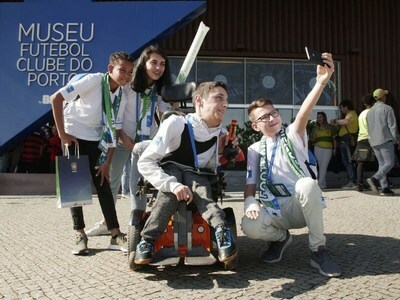 Its participants are Young Players (boys and girls including those with disabilities and special needs) and Young Journalists covering the events of Football for Friendship within the International Children’s Press Centre. The final events of the Football for Friendship programme will take place in Madrid from May 28 to June 2, 2019.